Register your site by filling out the form below. All fields are required. You will receive a confirmation email with your login details within 24-48 hours (excluding public holidays). 8. 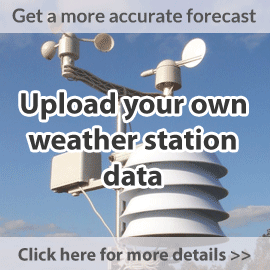 Do you want to see your weather station data online? Find out more about forecast integration here >> (opens in new window).